ELIZABETH CITY, NC – Smartphones can overheat for a lot of reasons such as overusing the device, charging it, or having it in high temperatures. Chevy found a lot of phones doing this when they are hooked up to charge wirelessly with some vehicles. The phones end up getting so hot they either stop working or shut off completely, which is damaging to your device. When the smartphone over heats, it damages the lithium-ion batteries and decreases the life of the phone. It also makes the processing go much slower. 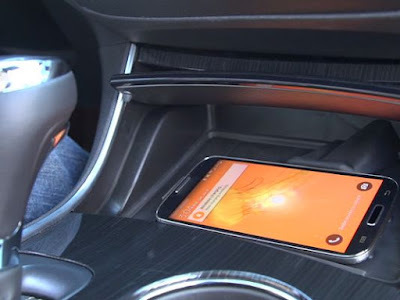 Do not fear however, your smartphones will no longer overheat in new Chevrolet cars. Engineers designed Active Phone Cooling to chill out this situation. The phone sits in the bin that is used when you are wirelessly charging the system and works when drivers turn on the HVAC system. The vent will blow onto the phone and keep it cool while it’s in use. 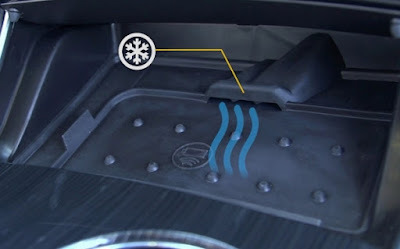 Your smartphones will no longer overheat in new Chevrolet cars! The exciting new feature will be available in the 2016 Chevy Impala, Volt, Malibu, and Cruze and this system is going to help all smartphone users because drivers rely on their navigation, music, and phone calls to sync to their car during their commutes. Stay tuned to hear more about the features you're able to get with cars. For more information on other cars stop by our Elizabeth City dealership. Perry Auto Group has two dealership locations to serve you better at 1005 W. Ehringhaus St, Elizabeth City, NC, 27909 or 1001 Halstead Blvd Elizabeth City, NC 27909. Stop in for any of your auto or community needs, or feel free to give us a call at (252) 338-9100.